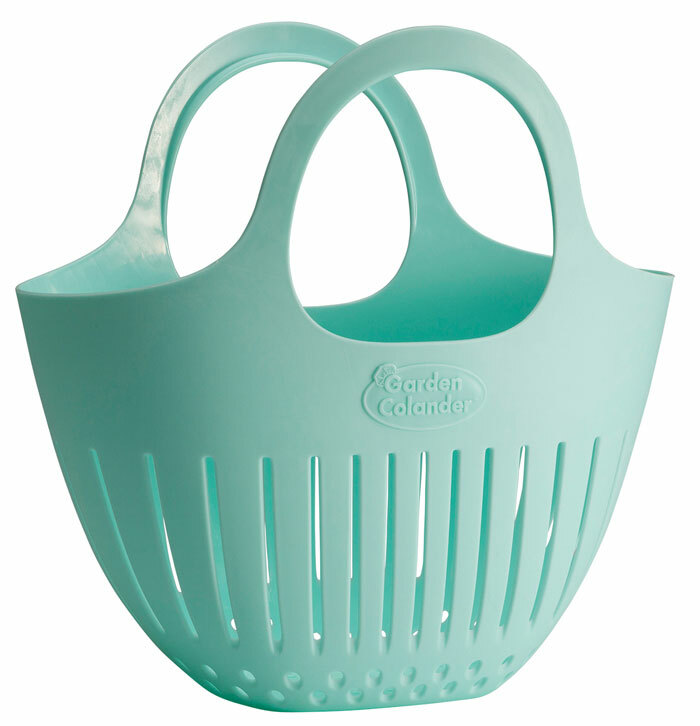 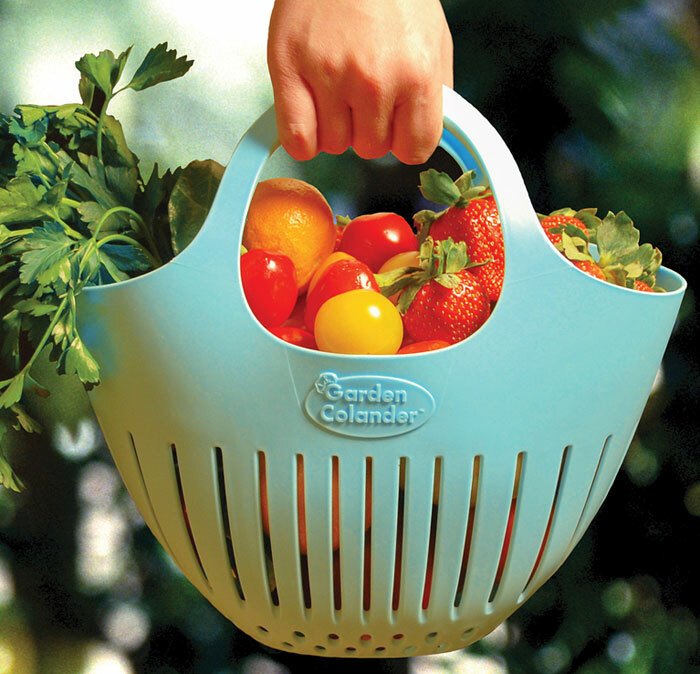 This smaller version of our original Garden Colander® is perfect for collecting delicate berries, tomatoes, herbs, and flowers from your backyard garden or farmer's market. 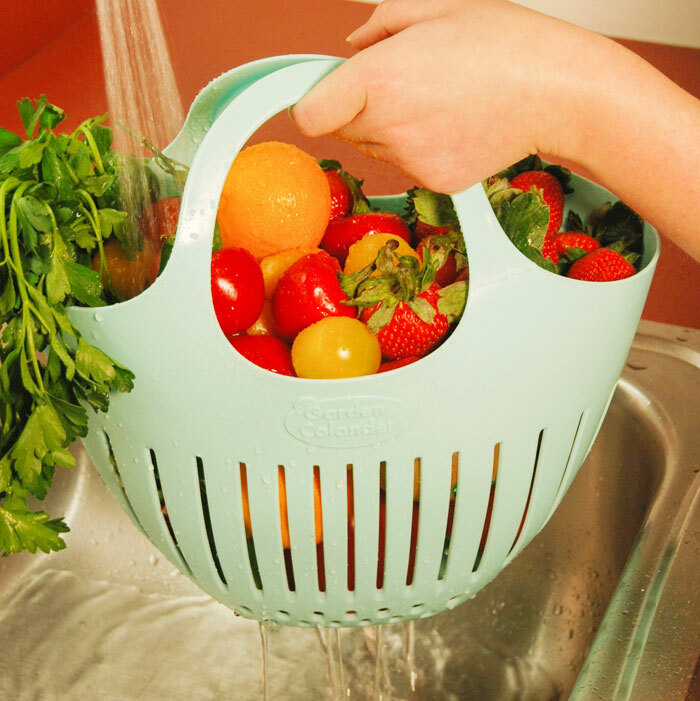 Rinse everything at once with the garden hose or bring them to the sink and wash them right there in the bag. 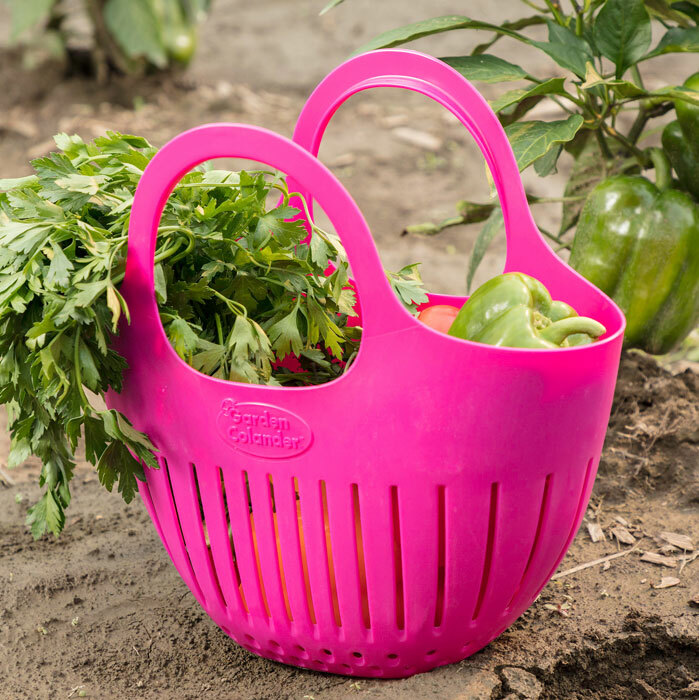 Great for releasing loose garden dirt. 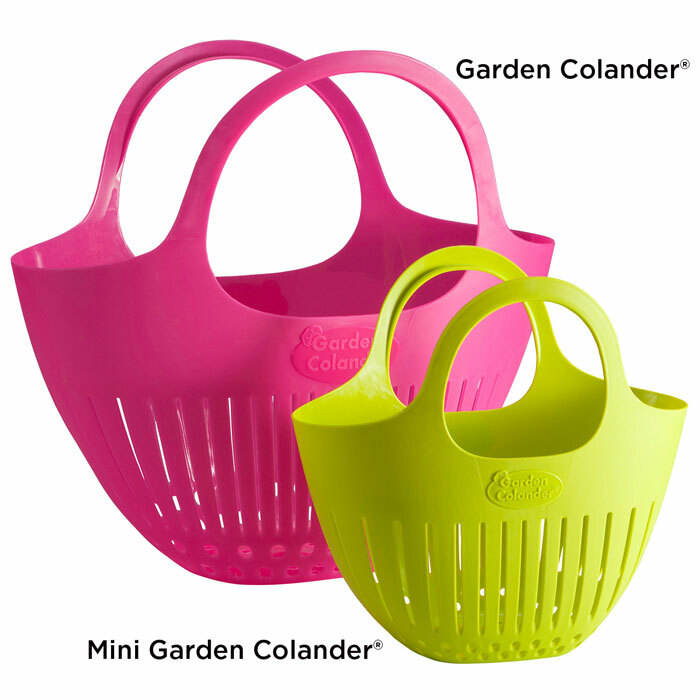 This Mini size is just the right fit for children to inspire them to help in the garden. 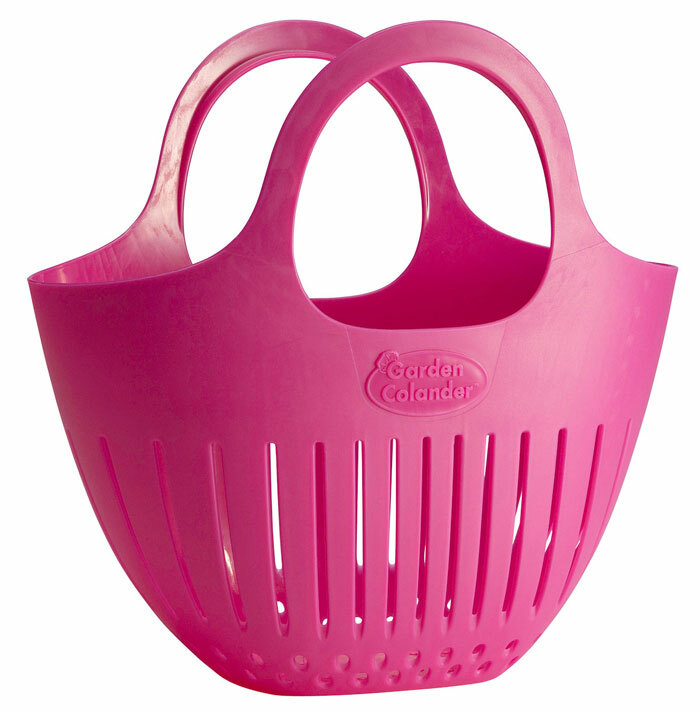 May also be used for bath and beach toys. BPA free and dishwasher safe.